Ada, Oklahoma - Jamie Green joins the Ada Jobs Foundation staff as the Director of Operations. In this role she will focus on working with existing industry through a soon to be established BR&E program (Business Retention and Expansion) and the day to day operations of the Foundation. With over a decade of experience working with non-profits and seven of those with the Ada Chamber of Commerce, she is familiar with this type of organization and the community of Ada. "While Jamie will support AJF's financial and administrative operations, she will also help manage our Business Retention and Expansion program efforts," shared AJF President James Eldridge. "We are in the process of revamping our BR&E program and Jamie will be instrumental in developing the plan for company visits, programs, and BR&E focused incentives." "I am excited to be a part of the Ada Jobs Foundation's mission and look forward to moving the BR&E program forward in the Ada area", stated Jamie Green. "Ensuring companies who are already invested in our community have the opportunity to continue to grow and prosper is important to our economy." 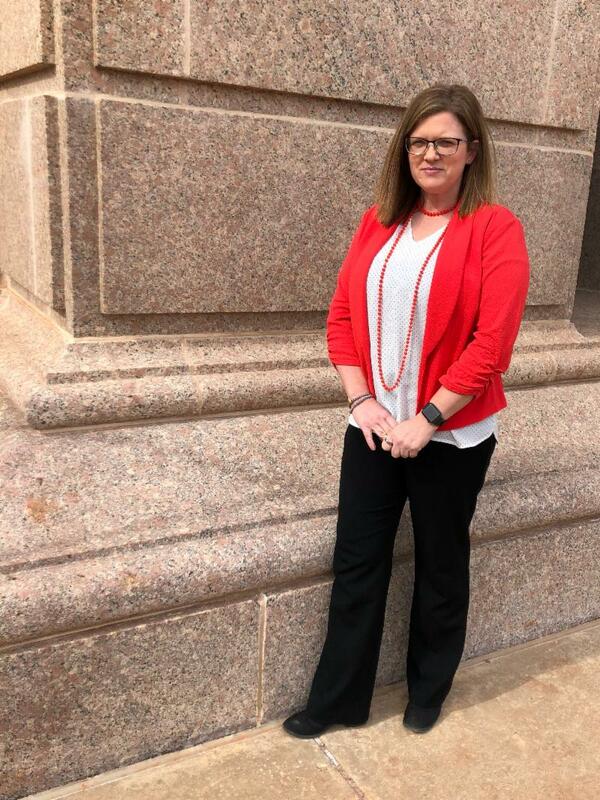 Jamie was named the Oklahoma Chamber of Commerce Executives 2018 Outstanding Chamber Staff of the Year, was a member of Class VII of the Oklahoma Community Institute's Citizens Academy, and is a graduate of the Chamber Management Institute and Oklahoma State University. In Jamie's spare time she is with her daughter, cheering her on at either a goat show or on the softball field.